Are McGill University scientists good dancers? Watch this video--if you do, you'll support cancer research. Cancer researchers at McGill University in Montreal strut their stuff. For every hit on this video, Medicom will make a donation to support their work. Enjoy, and thanks to Stacey Mankoff for the link. Leningrad Cowboys and Red Army Choir do "Sweet Home Alabama". Who'da thunk it: a Finnish neo-punk band and Russian soldiers covering Lynyrd Skynyrd. Thanks to Jean Moshofsky Butler for cluing me in, and mwezz for the clip. For the past week, I've been hoping for a Detroit-Milwaukee Series (and probably cursed both teams by doing so). 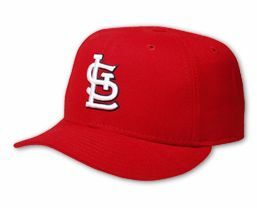 Now, I'm casting my lot with the Cardinals, for all the reasons stated here and here, and hope I don't curse them, too.